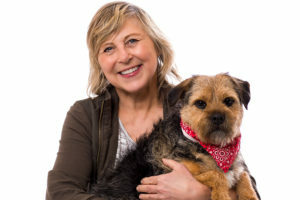 At the Animal Clinic of Billings, we understand that your canine companion is not just a pet, but that he or she is a beloved, cherished family member. The mutual bond of love and loyalty between you can make a diagnosis of any form of dog cancer very difficult to hear. Our veterinarians and support staff are empathetic, compassionate and trained to focus on both the emotional and medical aspects of dog cancer. Cancer is an abnormal growth of cells in the body that grow in an uncontrolled way and may spread to other parts of the body. According to cancer researchers, one in three people, one in four dogs and one in five cats will develop cancer in their lifetimes. At one time cancer was considered a fatal diagnosis, but today, due to advances in medicine, most cancers are treatable and, in some cases, curable. The most important step is to get an early diagnosis and begin treatment. Semiannual visits to your veterinarian for a thorough exam are key to finding cancer early, especially with older pets. Unlike many other species of animals, dogs are susceptible to the same types of cancer as humans. Cancer is caused by the uncontrolled growth of cells in the body. These cells can originate in any of the body’s tissues. If not found and arrested in time, cancer can expand and connect with the circulatory or lymph systems, and also can spread and infect other tissues in the body. Canine cancer is the leading cause of death for dogs 10 years of age and older. However, half of all cancer in dogs is treatable if it is arrested in its early stages. Should you witness any signs of cancer in your dog, we strongly recommend making an appointment with one of our veterinarians immediately. Tumors in dogs usually appear as fleshy but solid lumps of tissue underneath a dog’s skin and fur. Not all tumors will be outwardly evident. Sometimes you can see evidence of tumors and sometimes they are deep within the body of the dog. However, early detection and treatment are key to preserving your dog’s health and quality of life. Therefore, it is important to periodically inspect your canine companion for any abnormal lumps and keep a semi-annual veterinary appointment schedule. Owners most commonly find a tumor on their dog while petting or bathing. If you are running your hand over any part of your dog’s body and feel a lump, call to make an appointment with your veterinarian. Most likely, the veterinarian will want to do a needle aspirate to get cells from the tumor to get a diagnosis on the type of tumor. The diagnosis is helpful in determining what if any type of surgery and or follow up cancer care may be necessary. Some tumors in dogs cannot be visualized but can be palpated (felt with touch) by your veterinarian during the exam. For instance, an enlarged spleen may be palpable to your veterinarian but not visible to the owner. You can reference the list of canine cancer symptoms above to get a better understanding of what symptoms to be on the lookout for. The patient’s overall health status plays a major role in therapy choices for dogs with cancer. This includes evaluating the patient for his or her ability to tolerate cancer treatment. Life expectancy should be taken into consideration as well; for a slow-growing tumor in an older dog, for example, treatment drawbacks may outweigh potential benefits. SURGERY – Surgery has long been considered the first and best chance of a cure in many cancers. If certain cancers are found early enough, before they grow too large or have had a chance to spread to other parts of the body, surgery can eradicate them. Surgery also reduces pain, improves quality of life, and even prolongs life when a cure is not possible. Surgery is often combined with chemotherapy or radiation therapy to cure or slow a cancer’s progress. RADIATION THERAPY – Radiation therapy for pets is not readily available in communities the size of Billings and smaller but can be used to treat many types of cancer and has resulted in dramatic improvements. The treatment uses energy similar to that used to make x-rays, but it is many times stronger and is focused solely on the tumor to spare neighboring cells. The radiation, or energy produced, kills the cancer cells. Radiation therapy, like surgery, can be curative or can shrink the tumor to help alleviate pain and improve quality of life. Radiation therapy is generally available at veterinary universities’ teaching hospitals and veterinary specialty hospitals in large metropolitan areas. CHEMOTHERAPY – Chemotherapy is the use of drugs that destroy cancer cells. There are many chemotherapy drugs and protocols available to veterinarians who provide these services. Some cancers in pets can only be treated with chemotherapy, but it is commonly used in conjunction with surgery or radiation therapy to try to control the spread of cancer or kill cells that escaped surgery or radiation. The primary goal of chemotherapy is to slow or stop the progression of cancer without causing a decreased quality of life for the patient. Most everyone is aware of the possible side effects of chemotherapy in humans – especially nausea and hair loss. Fortunately, dogs and cats generally tolerate chemotherapy much better than human patients. Most veterinary chemotherapy patients will not have to be hospitalized and side effects can often be minimized or prevented to maintain the quality of life we want for our pets. OTHER CANCER TREATMENTS INCLUDE – Immunotherapy is among recent advances in cancer treatment. Vaccines have been developed for veterinary patients, not to prevent cancer but to assist in treatment. There is currently a vaccine for lymphoma patients in remission following chemotherapy and a vaccine for oral melanoma in dogs that can aide in a prolonged life while preserving quality of life. Adjunctive treatments include medications to alleviate certain symptoms of cancer such as pain and nausea. Additionally, improved nutrition has shown to enhance the quality of life of veterinary cancer patients and has even extended pets’ life expectancy. If you suspect dog cancer, whether finding a bump or witnessing behavioral symptoms, please contact us immediately to schedule an appointment. Our veterinarians and support staff will provide you and your canine companion with compassionate, comprehensive dog cancer care and support services. Although dog cancer can be overwhelming, you don’t have to go through it alone. We are here to help ease your dog’s pain and suffering and eliminate the cancer through the best dog veterinary care available. The key to a cancer-free healthy pet, especially as pets get older, is early detection and prevention of disease. Please call to schedule an appointment or a senior wellness examination with one of our veterinarians today!